In other times, the political excommunication of former Chinese rising star Bo Xilai would have been a relatively simple affair. Bo, the party boss of Chongqing, had for years built himself firm control over what happened in his province, along the way winning something of a reputation as a crusader for the people. But his sharp tongue and unconventional ways rankled Party officials in Beijing, and on April 10 he was suddenly demoted. End of story. 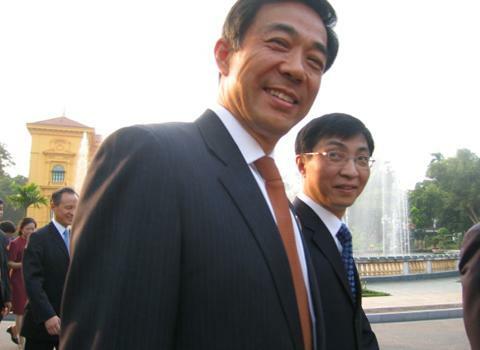 But the Internet loves a scandal, and as scandals go, the story of Bo Xilai seems to have it all (much of it detailed here by VOA’s Matt Hilburn and Kate Woodsome.) Soon after his dismissal a flurry of stories from the official party apparatus suddenly linked Bo to a series of business and bribery deals gone wrong. The mysterious death of longtime friend and British business leader Neil Heywood, first blamed on alcohol poisoning, was quickly tied to Bo’s wife Gu Kailai. For her part, rumors began to float that Gu is volatile, depressed, paranoid or worse, possibly even having had an inappropriately close relationship to Heywood. Then came whispers, quickly swatted down by the government, of dissent among high levels in the nation’s military unhappy with Bo’s removal. Stories like Bo’s, of course, are nothing new. It wasn’t all that long ago that Jiang Qing, perhaps better known as “Madame Mao,” was at the height of political influence as one of the leaders of the Cultural Revolution. But with Mao Zedong’s death, it didn’t take long for her to be toppled, landing her in prison with the label “counter-revolutionary.” Of the many opaque factions within the one permitted Chinese Communist party, there are always winners and losers. Bo Xilai has come out on the losing end of that equation. And that, traditionally, should have been that. Which is exactly where the Internet comes in. Yet key-word censorship is a tricky business, as Chinese users have become very adept at learning how to evade the censors by using similar but non-threatening words. Another oft-used tactic in China is shutting down nearly all access to the web in a specific geographic region, such as happens periodically in the ethnically-restive Xinjiang province. That can work to isolate one area for a limited time, but as a technique for stopping a national discussion it seems fraught with downsides. Just ask Egyptian officials. perhaps the government open the truth,but they just open the better thing,not the all.and the political address just isolate the people who are pay the taxes to feed them.they give the promise like virtual world.that is china. it dare not,that’s why they try to control the network though they know it is impossible. If telling the truth,cp will be demolished much more quickly than this.